The department offers numerous activities dedicated to fostering student development and learning. These include active student organizations such as the University Dance Organization (UDO), the Student Experimental Theater Organization (SETO) and the SIUE student chapter of the United States Institute for Theater Technology (USITT). These organizations offer a creative home for students interested in developing artistic networks and in developing new programs, productions and fundraising events. 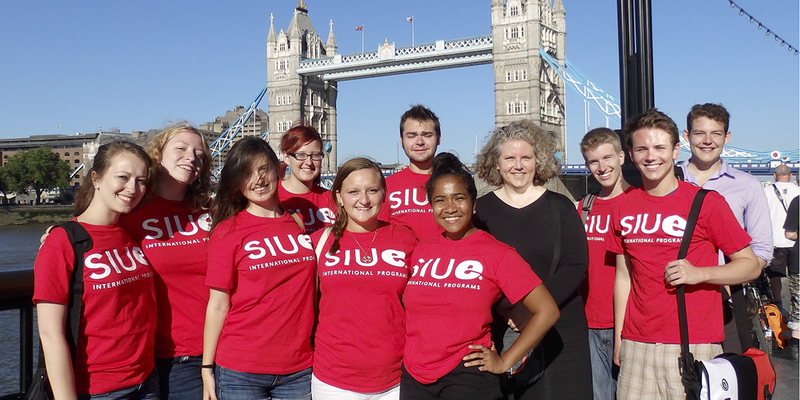 The Department’s signature experiential learning event is the London Theater Study Abroad Trip - an immersive four-week study focusing on performing and visual arts, history and architecture. This program helps students develop new scholarly perspective for their degree plan and has enhanced and focused their professional ambition. The travel study creates access to resources that are not available to our students anywhere else; they visit leading institutions such as the Royal Shakespeare Company and the British Museum as well as one-off street performances and smaller experimental and alternative performances. Humana Festival of New American Plays, Actors Theater of Louisville - America’s premier new play event, celebrating the most talented voices in the American theatre. Students see five world-premieres in three days in addition to attending numerous workshops, talkbacks, seminars and keynote speakers. USITT Annual Conference - This national event features the best and brightest in technical theatre offering hands-on workshops and training. USITT showcases speakers, demos, top product developers, inspiring keynotes, and opportunities to network with equally passionate professionals and hiring managers worldwide. This event focuses on top-notch education with top trainers, topic-driven panels and workshops. American College Dance Association Annual Conference - A week-long immersion in college dance featuring classes, presentations, adjudication, informal concerts, feedback sessions and opportunities for faculty and student exchange.